How Does Your Character Change? You know your character must change somehow over the course of your novel. But how? And more than that, how do you sync the changes with the external plot? The middle of a novel can suffer from the dreaded “sagging middle” and it’s mainly because you don’t have a firm handle on the character’s inner arc and how it meshes with external events. I’ve found three approaches to the inner arc, each trying to laying out how the character changes. While these overlap a lot, there are differences in how the emotional changes are approached. 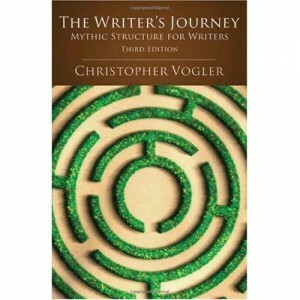 In the Hero’s Journey, laid out so well in Christopher Vogler’s book, The Writer’s Journey, a character receives a Call to Adventure that takes him/her out of the normal and ordinary world into a world where they must quest for something. One of the key moments in this paradigm is the Inmost Cave where the character faces his deepest fears. So, we’ve got Melanie who wants more than anything else to get her mother’s approval, but can’t because her mom’s a chef and Melanie can’t cook worth a flip. In the Hero’s Journey, Melanie might get a Call to Adventure: a challenge to create the world’s largest hot fudge sundae. Her darkest moment will come when she realizes Mom think’s she’s real goof-up and she’s not up to the task. Of course, she wants to give up, but somehow manages to rally (perhaps, recruiting friends to help, learning to make a sundae, etc.) and create something that makes Mom proud. In this paradigm, two characters cross paths in Act 1 and usually hate each other, but Act 2 throws them into a situation where they must act together. Here, the characters’ strengths and weaknesses work to create change. It’s an up and down battle of learning to trust each other and ultimately find some sort of love, whether it’s platonic, romantic or maternal. Key moments are the midpoint when they totally lose faith in one another and a re-commitment to each other as they move from Act 2 to Act 3. Act 1 and 3 focus on the external story, while Act 2 follows how the friendship affects the characters. 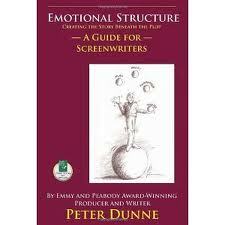 For more on this paradigm, read, Emotional Structure: Creating the Story Beneath the Plot by Peter Dunne. Melanie agrees to participate in the Biggest Sundae Ever contest, but as the contest starts she’s assigned a dunce to work with, Phillip RunnyNose. They clash immediately and have different ideas on how to create the required masterpiece: Melanie wants total creative control, while Phillip wants to just take pictures of the masterpiece. During their practice run–about the middle of act 2–Phillip leaves the ice cream out to soften up, but it melts, ruining the practice sundae. Of course, they fight and demand new partners, but that’s denied. Finally, they find that Melanie is great at building the base of the sundae, but Phillip is better at decorating it (characters have changed, because they accept different roles: Melanie does the basic work, Phillip the artistic/creative work– but they are better together than alone.) They go into Act 3 still unsure of each other’s roles, but committed to trying to create that Great Sundae in the sky and eventually Melanie earns her mother’s approval. Melanie agrees to participate in the Greatest Sundae Contest in order to impress her mother, who runs a bakery that is slowing going out of business because of lack of customers. Mel practices once and gets 100 scoops one on top of each other, then stops to take pictures of the project, but it falls apart just as she snaps her pictures. Mom is furious at the mess in her bakery, but Mel’s pictures are interesting and catch the attention of the newspaper, who publish them, resulting in more business. When Mel tries again, her masterpiece again falls apart when she starts to take pictures; Mom is even more furious; this time the pics get picked up by a state magazine, resulting in even more business. Mel persists. A key moment comes though, when she realizes she likes the photography process and decides to do more of it, moving into Act 3. She creates the masterpiece, but this time takes pictures of the entire process from start to–inevitably–collapse. (of course, you’ll add lots of conflict: icing on the camera’s lens; dead battery; etc.) By now, though, Mom is excited by the pictures and realizes she’s got a goldmine in advertising revenue. I’m proud of your photography, she tells Mel. Will you photograph me while I decorate a cake and we’ll use it in advertising. In short, Mel tried to impress Mom with her skill in creating a sundae, when what really impressed Mom was her photography. She’s replaces an inadequate way of coping (impress Mom with her cooking) with an adequate one (impress Mom with her photography). 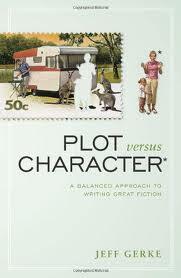 Each paradigm comes with different requirements and different key moments that your plot must provide. Main Character Alone: In the Hero’s Journey, it’s a lonely quest where the main character changes him/herself. Yes, there are supporting characters, but they are secondary to the internal arc. Friends: The Friendship arc requires two people who appear to be polar opposites, but eventually change each other. Either: In the Dysfunctional arc, you can feature another character, or it can be against a situation or event. Fears. Hero’s Journey requires an Inmost Cave, the moment when the character faces his/her worst fears and comes out changed. Difficult Relationship. The Friends arc requires a blow-up in a relationship, with some compelling reason to later recommit to that relationship. Coping. The Dysfunctional arc has that moment when the dysfunctional coping crosses paths with the functional coping and one takes precedence over the other. What I like best about these paradigms is that they give me a way to navigate the difficult Act 2. What other types of character arcs are there? Probably several. Do you have a favorite way of thinking about the character arc? Do you naturally think in terms of one or another? I’m still trying to think about this whole topic and would love a discussion. This helps to see the differing arcs. Thanks! Excellent post (as always since I found your work). The points you brought up is something I have never thought about as a writer. Since I have started to dive into flash fiction, I wonder how these different types of arcs can play into a 300 to 1000 word prose. On the flip side, my joy is comic books and manga. I can see these arcs being deployed frequently (e.g. Hero’s Journey). There is something majestic and riveting about seeing someone become a hero. I’ve also seen the arcs played out in television shows and movies. Wow…this is powerful stuff! I’ve been exploring your blog the past couple of days and I love it–it’s really helping with my WIP. I had an “OMG!” moment when you described the third character arc. I knew I had some similarities with the Hero’s Journey (Tolkien is the reason I started worldbuilding, after all), but practically everyone in my WIP has that disfunctional coping problem, especially the hero and antagonist(s). EJ, it is fun to watch for these arcs in movies and TV, as well as in the books we read. Story is story, in any medium. The 3 types of arcs do overlap a lot. I think I just need to pick one for each story/subplot and stick with it. Great post. I’m working on my first novel and these kind of clarifications help tremendously. Thanks. I loved this post, and I agree that building characters based on character arcs can assist the writer in better defining their characters, while also giving a face life to that sagging second act. In my WIP, I’ve realized that being aware of my character arc helps me remain focused and prevents my story from veering in the wrong direction. Great article!